no shame about their or lack of cleanliness. According to University of Kansas Professor Dr. David Ekerdt, getting rid of stuff is actually a two-step process: sorting and deciding, on the one hand, and disposing on the other. But convincing seniors can be a challenge. Suppose you spend a short time helping your aging parent clear off a table. Celebrate the accomplishment together. If your aging parent has 150 empty margarine tub containers, suggest donating 15 of those to a school for a painting project. Allow some time to go by and ask how she felt giving those up. Chances are she won’t feel as awful as suspected. Remind your aging parents that too much clutter can actually keep them from being safe in their homes, which could jeopardize their ability to stay at home. They could trip over papers on the floor or lose bills and medications. Agree to box up unused clothing or tools. Carefully list what’s in the box and track that for six months. If your aging parent does not use the items in that time, suggest they donate them to a charity. Clutter is all about control, but so is being the one to decide where stuff goes. Remind your aging parents if they don’t decide where something will go, someone else will. For more information, contact the National Study Group on Chronic Disorganization (NSGCD) at www.nsgcd.org. 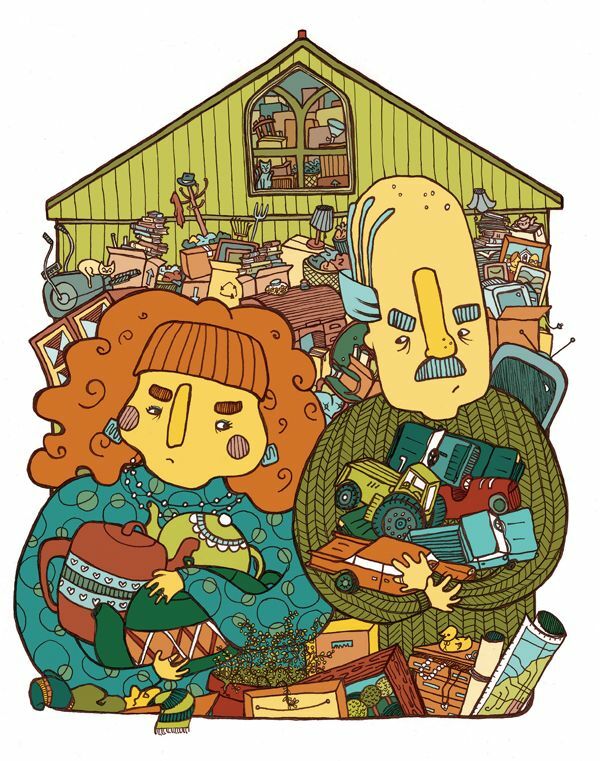 If you notice these characteristics about your aging parents or their homes, clutter could start creeping up on them.